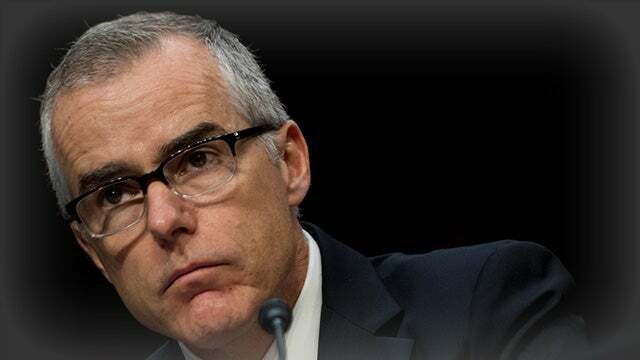 RUSH: The Drive-Bys, the New York Times: “Andrew McCabe, Ex-Deputy Director of FBI, Will Be Faulted for Leaks.” It was in McCabe’s office that Strzok and Lisa Page were talking about the Plan B, the insurance policy for in case Trump won, ended up being the Steele dossier. So the New York Times is heralding, “Yeah, guess what? It was McCabe that was leaking.” Except, except, except the Times and the Wall Street Journal are now saying that McCabe and his leaks were actually hurting Hillary. And so this is a way to get him off or out of trouble. This is a media attempt to rescue McCabe. He’s been leaking. But wait, but wait, he was actually hurting Hillary, so he couldn’t have been an anti-Trump guy. See? See? I’m telling you, we are flooded today with so much gobbledygook news.